Senior Pastor Timothy R. Howard Jr.
Timothy Howard Jr. is the senior pastor of Eastford Baptist Church. He started his ministry with EBC in September of 2015. 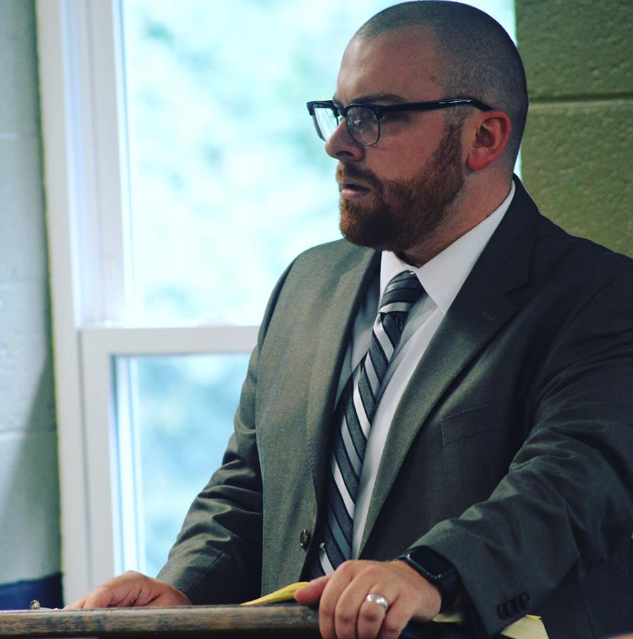 He was born and raised in the State of Connecticut, growing up in the Town of Glastonbury, and has ministered as a youth pastor in Enfield, Connecticut and as an associate pastor in Windsor Locks, Connecticut. The Lord saved Tim at the age of five years old after His dad and mom had recently been saved as well. God graciously did some amazing things in order to bring their whole family to a place of saving faith, utilizing the witness of Tim’s grandmother, as well as some faithful believers sharing the Gospel with the Howard family from Tim’s home church in East Windsor, Connecticut. Tim thus grew up serving the Lord in his home church until, at the age of fourteen at a youth camp in Northfield, Massachusetts, the Lord called him into full-time, vocational ministry. Following the Lord’s call to the ministry, Tim left for Clark’s Summit University in Clark’s Summit, PA, (Formerly Baptist Bible College & Seminary) where he met his beautiful wife Sarah. Sarah is originally from a little town called Harpursville located in upstate New York and is a talented musician both in the areas of piano and vocals. Tim and Sarah graduated from CSU in 2007, Tim graduating with a Bachelor’s degree in Bible/Theology, and a Master’s degree in Biblical Studies and Sarah graduating with two Bachelor degrees, one in church music and the other in Bible. Tim is currently working on a Master’s of Divinity through The Southern Baptist Theological Seminary, in Louisville, KY. Tim and Sarah were married in 2009 and have two children, Karissa Faith and Timothy James (TJ). Tim’s life’s desire is to glorify God by investing his life into the lives of others. By His grace, Tim desires to preach the Bible faithfully, evangelize with the purpose of making genuine disciples of Jesus Christ, encourage God-dependent prayer, support global missions, and develop a local church that authentically utilizes their God-given gifts in order to serve Him and each other. 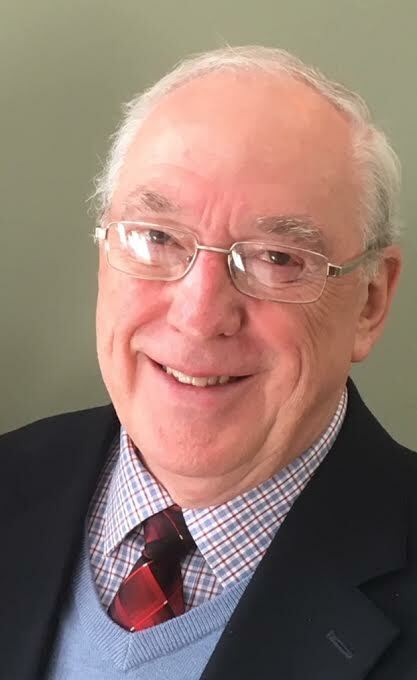 Pastor Russell Buisch began his ministry with EBC in June of 2018 after serving over 40 years as a pastor and church planter in Connecticut. Upon graduation from Western Seminary, Russell was appointed as a church planter under the New Churches Now program of the Conservative Baptist Home Mission Society. Being assigned to Carlisle, Pennsylvania, he led in the founding of the Mountain View Baptist Church. His supervisor, Len Waterman, directed him to a young divided Somers Baptist Church in Somers, CT. He led the church in moving out of the public school and through four building programs over his 16 year ministry. 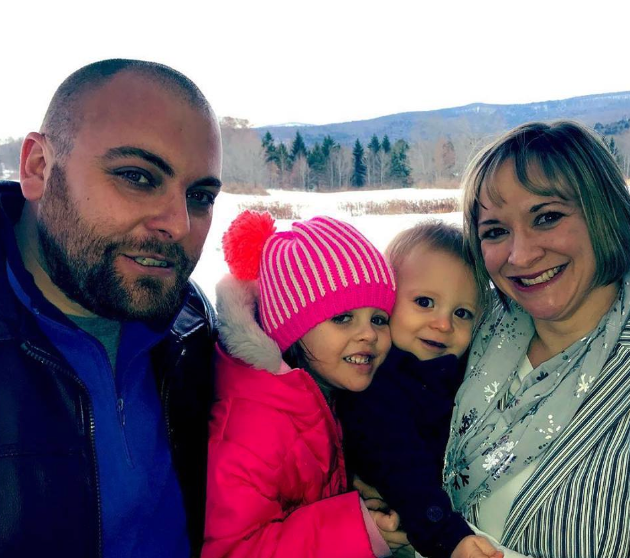 When a church planter could not be found for a daughter church rising from the Somers congregation, Russell was again appointed by CBHMS to be the founding pastor in Ellington, CT. After 25 years in Ellington he was involved in the calling of a new pastor to this now established congregation. Russell now leads our Wednesday Night Prayer meeting and Bible study as well as many other very important aspects of the ministry.